Let me tell you: you can have the best products but if you don’t have the right tools your make up will never look the way you want. I always used old brushes and more often than not I ended up having unblended eyeshadows or patchy blush. So last year I decided that in 2017 I was going to invest in good brushes. 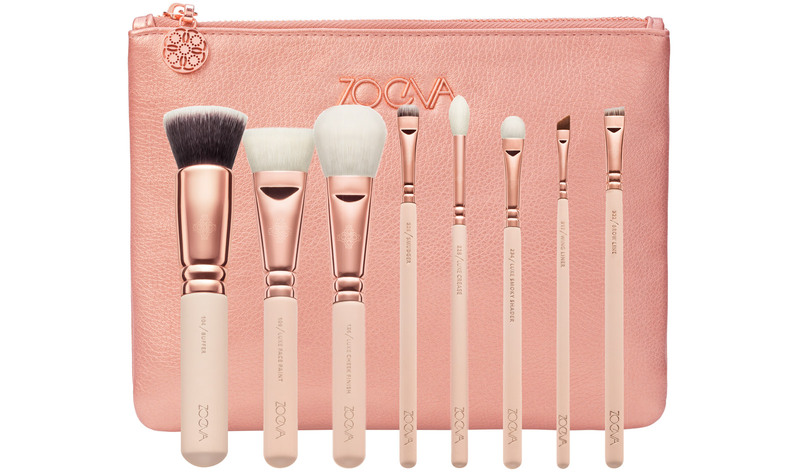 After a lot of saving I bought two sets from zoeva.com and today I’m going to share the best of each one. I know today’s post might be more boring than usual but I remember when I was deciding which brushes to buy back in January I’d have loved a post like this. Lastly, the brushes I’m sharing are the base I feel everyone needs for everyday use, if you like to experiment with your eyeshadow you will need more and maybe you should buy the sets. Good brushes last forever if you take good care of them, think about this if you are thinking of investing in some. Read until the end to find my tips for taking the best out of them. This is definitely my favourite foundation brush and I wasn’t really expecting that. A few weeks ago I was doing my base but the brush I usually use (and I’m going to mention in a second) was dirty so I decided to use this one instead and OMG GAME CHANGER! 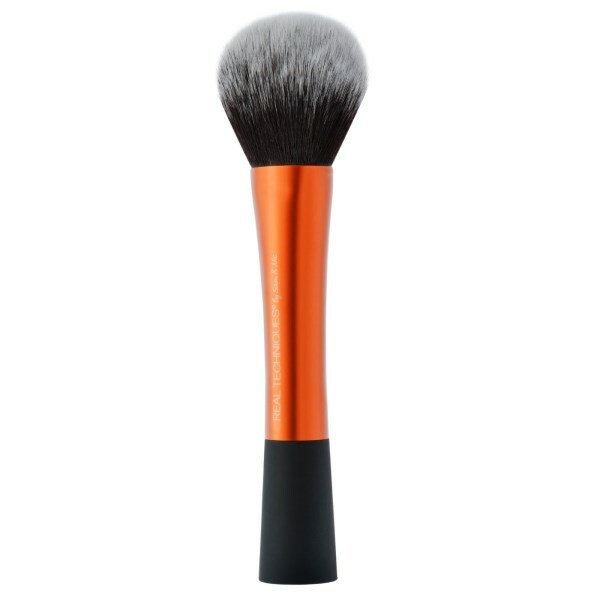 It’s a flat top kabuki brush with really dense bristles. I usually use it with powder foundation and I love it for that but with liquid? It gets to another level. The foundation glided over my skin and meshed with it. I would say it also sheers it out which for me it’s a good thing. I don’t like full coverage all over my face. It doesn’t leave any streak whatsoever and I love it. Same with powder foundation but in that case it increases the coverage. Basically what I’m trying to say is this brush will make your foundation look as natural and smooth as it possibly can, like it’s your own skin. This is the brush I was using before for my base. Don’t get me wrong I still love it and I use it to get a fuller coverage out of my foundation. It makes it really smooth and it blends it amazingly. It has quite dense bristles, like the other one, but this is dome shaped. It doesn’t leave any streaks or weird lines and it makes super easy to reach the tiny areas like the sides of my nose or the inner corners. At the end of the day, they are both great brushes but if you have to choose go with the first one. This brush it’s like a mignature version of the 102 which makes it perfect to work on smaller areas such as the under eyes. I use it to blend concealer because it doesn’t sheer it out but it picks up any excess product and therefore prevents creasing. There is one that is smaller than this that’s made for concealer but I find it too small for my tastes. Stepping away for a second from Zoeva and moving to Real Techniques, the line created by Pixiwoo (Love them, if don’t know them, you need to check out their pages). This powder brush it’s amazing. It’s quite big, which I prefer to dust powder all over my face, the bristles pick up just the right amount of product to not cake up your face and it’s really soft. I have had this brush for three years: it didn’t shed or change in any way, shape or form. For how affordable it is you can’t go wrong. Another Real Techniques number, this brush is nowhere to be found on ther website so I hope they are not discontinuing it and I am actually quite confused because it’s one that people really like. Although it’s called blush brush I find it too big for that purpose but I love it for bronzer. 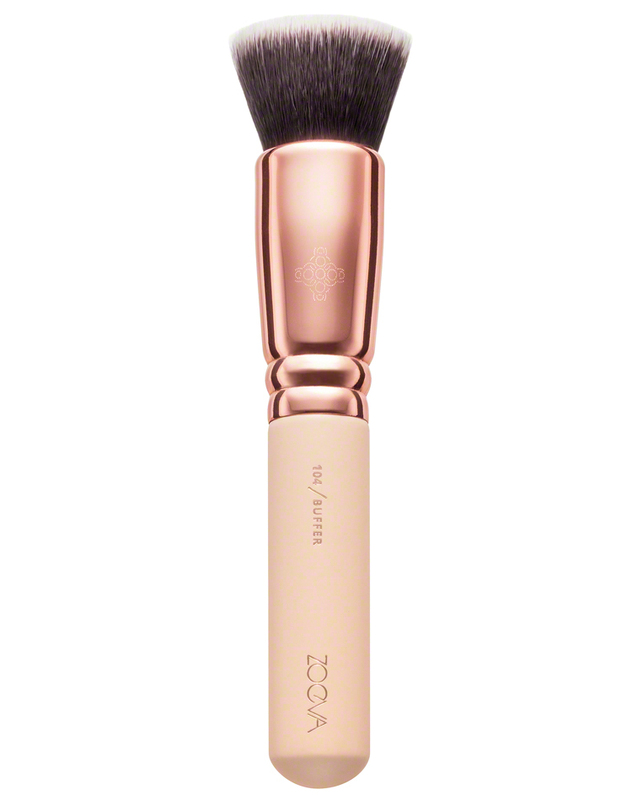 The tulip shape makes so easy to bronze and contour at the same time. You can use the “point” to precisely apply the product and then push harder to diffuse it (hopefully I’m making sense). It’s really soft and it picks up the right amount of bronzer. 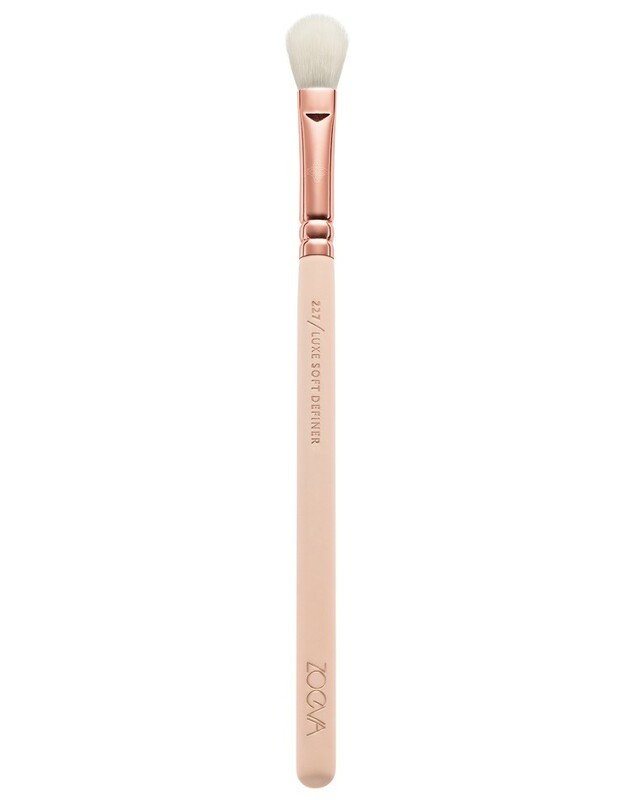 I don’t even know where to start to express my love for this brush, we are back to Zoeva’s, I used to be such an angled blush brush type of girl (it’s that even a think?!) but once I started using this one I couldn’t go back. It hugs your cheeks and diffuses the product beautifully. It’s soooo soft but it’s dense enough this way you are able to place the blush exactly where you want and to blend it without any patchiness. I have this brush in a limited edition packaging for Summer but the shape it’s the same as this one from the permanent line. 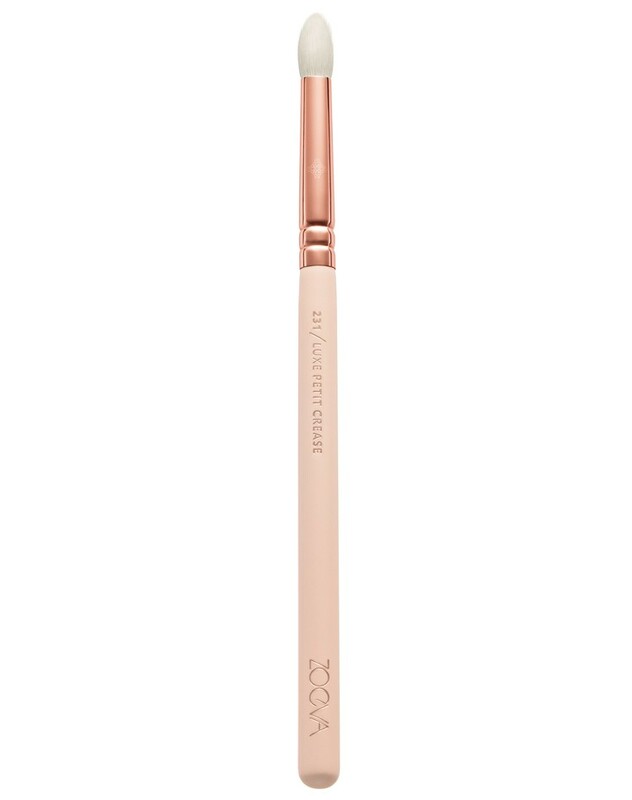 If you are like me and you love a bold glow this brush will be right up your street. It’s not super dense and it’s ridiculously soft but the way it’s shaped makes super easy to diffuse the highlighter on your face since the bristles are really long. If you prefer a softer look you can try a fan brush, I recently got one from Kiko, you can see here, but I think I like this one better. Where do I start? I have three of this. If you are not really into eyeshadow and you just use it from time to time, YOU NEED THIS BRUSH. I use one Every. Single. Day. I always have one clean. I use it to apply shadow and blend. It’s the perfect softness and it blends shadows like a freaking dream. I use the side to apply the colours and the top to buff it out and let me tell you: when I don’t use this brush I see the difference. I think it’s a way LESS expensive dupe of the famous MAC 217. This brush it’s supposed to be for the crease but I think it gives its best when used to apply teardoct highlight. It’s really nice also to blend shadow on the lower lash line. It’s quite dense and obviously really soft. Nothing much to say, I love it and I use it all the times. If you like to play with shadows, this brush is perfect to pack colours on the lids. I also often use the top to blend the lower lash line because it’s really pack and it doesn’t bend easly, which helps me to be very precise, but it’s not as dense as the next brush I’m going to show you, so you can still have a diffused/blended look. 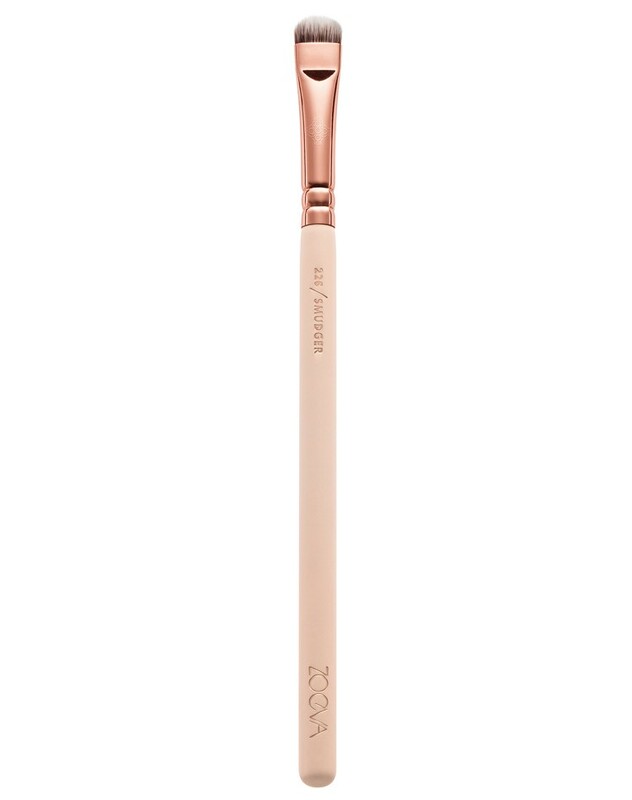 This is the brush you want if you want a really intense and precise lower lashline. This brush it’s very dense. I’ve had a few of this kind in the past and the Zoeva one it’s the only one that doesn’t sting. It’s really gentle for the delicate area under your eyes. It’s also really nice to smudge eye pencils for a smokey look. If you saw my Drugstore Haul you would have seen I recently got the NYX Brow Pomade therefore now I need this brush, you definitely don’t if you prefer a pencil. But let me tell you this: years ago I used to use eye shadow and an eyeliner brush (which has longer and softer bristles than this) and it didn’t work as well as this one. The shape is similar but because the bristles of a brow brush are shorter you can easly mimic natural brow hairs. 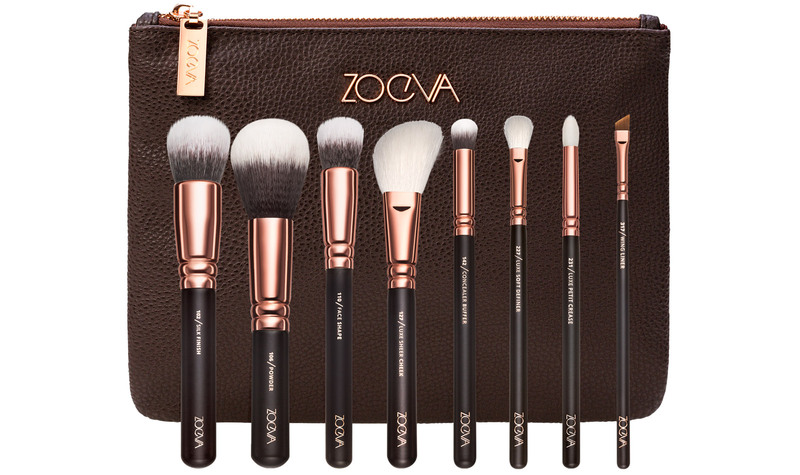 I quickly just want to share that I haven’t bought the Zoeva brushes individually, I got two sets and that made me save so much because although I haven’t share here all the brushes I have, I still use them all the time since I don’t wash my brushes everyday. Even if I love them both, looking at the brushes I’ve recommended I see more favourites from the second set, so I guess if you have to choose one go for that, but since it doesn’t come with the 227 brush, I’d add that one as well. 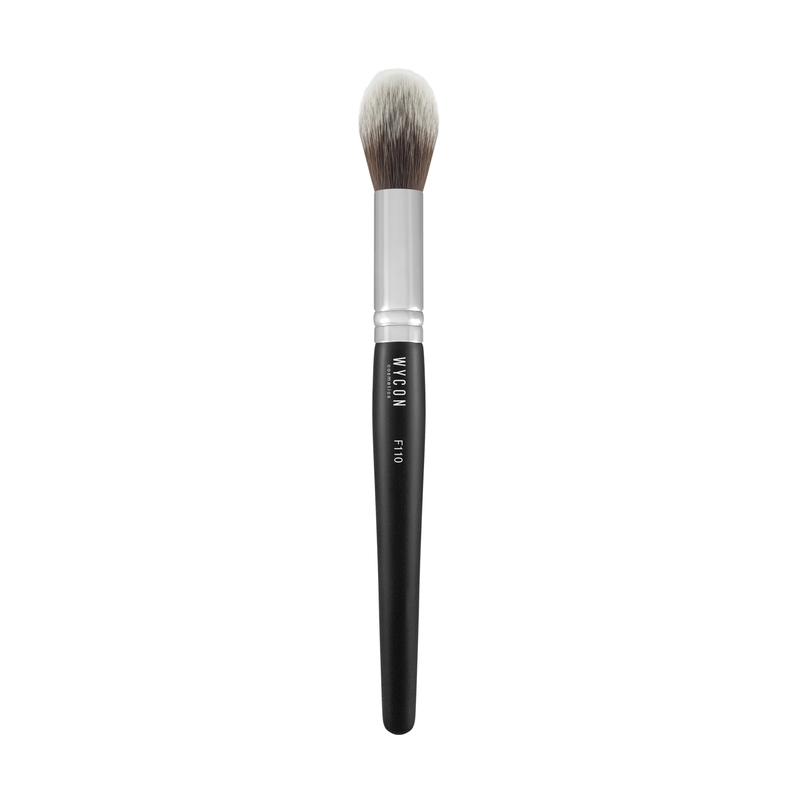 If you are buying brushes online keep in mind that white bristles are softer than black. Even if a brush says it’s made for blush nothing prevents you to use it for something else as long as it works. You should wash your brushes every two weeks with water and soap, but here’s the tip, use a gentle soap bar and rub the brush on top, it will make you save so much soap you won’t believe it. It’s quicker too. I always wear rubber gloves when washing my brushes so my hands don’t dry out. You can wash more than one brush together. To change colour while you are doing your make up you can buy the Sephora Color Switch or for a cheaper alternative use a bun maker: the sponge has the same consistency. seriously, brushes are the most important part of a makeup look! Omg! You are so right! I haven’t realised it until I got these new ones. Exactly, they are such an investment but they are so worth it! These are great brushes when I am ready for some new ones I am going to give these a try! Thank you!